History is full of power-hungry men. These small-minded tyrants have used propaganda, intimidation, fear, torture and war as a means to reign over those they consider inferior. Their aggression—appalling. Their motives—disturbing. The atrocities—heartbreaking. With that in mind, what if Hitler’s Nazi war machine seized control of the free world? One need not look further than Earth-10 to get the answer. When the rocket carrying a young Kal-L crashed in Czechoslovakia, Nazi scientists quickly reverse-engineered its technology to secure a WWII victory. 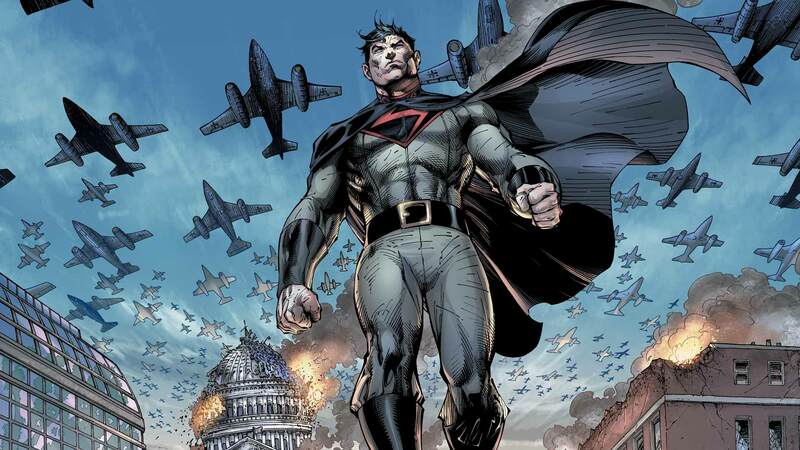 As the years passed, the troubled Kal-L—now known as Overman—grew up to lead a team made up of heroes of the Reich, including Leatherwing, Brunhilde, Blitzen and Underwaterman on a mission to uphold the Nazi ideals. Better known as the “New Reichsmen,” these super-powered beings don’t hesitate to execute Blitzkrieg in the name of the Fuhrer. Thankfully, history has a flipside, and contains stories of men and women willing to push back against the oppressors. Earth-10 is no different. Lead by Uncle Sam, a “terrorist” group known as the “Freedom Fighters” opposes the New Reichsmen. Its members: The Ray, Black Condor, the Human Bomb, Doll Man and Doll Woman represent the heart and soul of the people the Nazis tried to exterminate. Fueled by the injustices of both the past and present, the Freedom Fighters’ mission is one of the most commendable. They’re truly the light in one of the Multiverse’s darkest Earths. Line up for this all-new maxiseries set on Earth X, where the Nazis won World War II!